Surprise! You must restart! : Is There A Problem Here? : Surprise! You must restart! 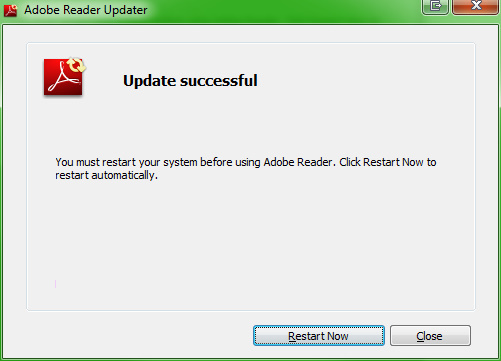 I finally give into Adobe Acrobat Reader's requests to install an update. Then after several minutes of installing, it tells me I must restart my computer before using the Reader. Had I known a restart was required, I would not have upgraded at this time. Also, it isn't "automatically" if you have to click "restart now". That's definitely a manual restart.